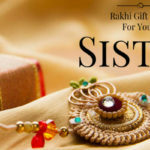 See the latest trends in Rakhis, fashion outfits, gift ideas for sister & brother, mehndi designs, etc. As Monsoon has knocked the shores which is also the onstart of festivities with so many festivals to celebrate right from Shivratri, Teej to the festival of brother and sister- Raksha Bandhan . Rakhi is a depiction of love bond between brothers and sisters in the family. Rakhi and Diwali are my personal favorites. I am a fashion freak and would always love to look elegantly different on these day. So, as Rakhi is on cards I searched for current fashion trends on how to look fabulous this Raksha Bandhan. 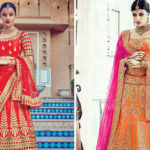 I Asked my Noida based Fashion Designer friend Rinkoo Tulsian Shroff about the current fashion trends (She is a Page 3 celebrity designer and has designed clothes for many. Her clothing line is available with name RinkooShroff). Wanted to know what one can wear on the occasion of Spring/Summer fall ….as Rakhi is near. She told me that colors and shades like Yellow, Orange, Pink and Green are in. 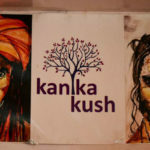 You can choose Sarees, Suits or any Fusion wear in these colors. In Fusion wear go for Crop Tops with Skirts or Trousers, a Saree with Crop Top or Off Shoulder Waist Length Kurti…. depending on your own creative styling and boldness. Cotton, Linen, Rayons and Synthetic mix thread are good choices for fabrics, as Monsoon is hitting, humid level will go on high. As about jewellery she suggested Bangles with Jhumkas. Oxidised Silver jewelleries are also trending, so u can go for them also. These all will give u Trending, Fusion as well as festive look. Go for ‘Bright and Beautiful’. 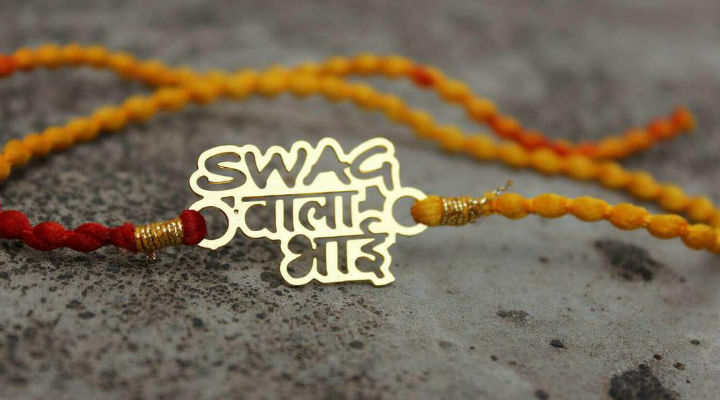 While searching for a Rakhis I looked for new trends. There are so many new ones which are really cool. The market is going up with creative and new ideas. There are one with your brother’s name and tags like ‘Cool Bhai/Bro/Dude/Superhero/Swag etc. Rakhis like Stone carved with Kundan, differently beautiful Resham Ki Doris and many more. Whole lot of variety in Rakhi for Bhabhis(sister in laws) are also available. 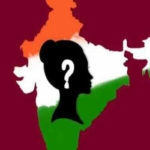 They are in Gotta Patti work, kundan work,floral or with Bhabhi or Pyari Bhabhi tags. Similarly for Kid’s Rakhis you can find all their favorite cartoon characters, Rakhis as Watches,Rakhis as Bands, Rakhis with Lights and many more. You can ask for all types of rakhis either from online vendors or from the local markets around your places. Go for trends. 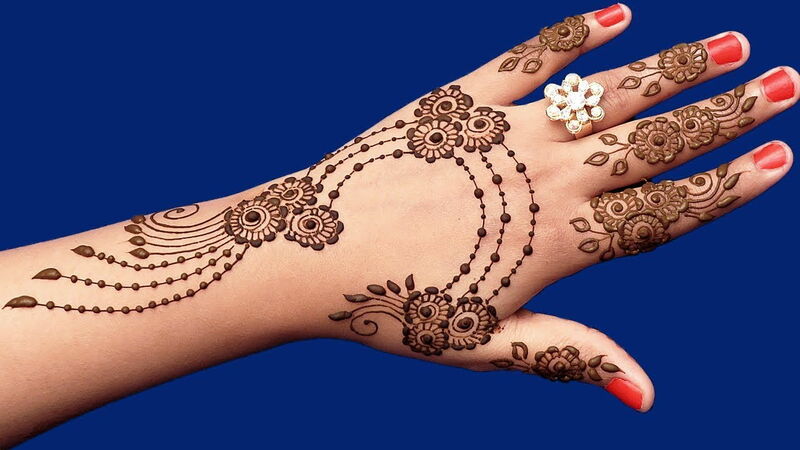 I love to apply Mehndi during festivals. Ah! I remember the long queues that surrounds the Mehandi walas. Even the Midnights are not a relief, you have to wait for hours. So to avoid this please try to manage things in advance. 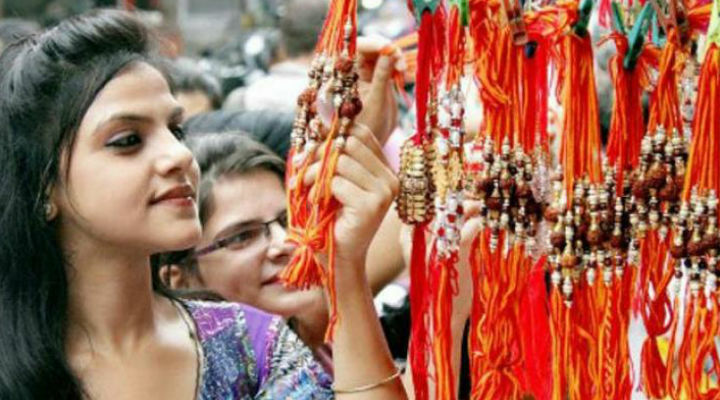 The prices, two or one night before Rakhi, usually are on all time high. So, it’s better to avoid unnecessary hassles and money spending. As per designs are concerned, Big/small Floral designs are in, either you go for Arabic design or a full hand cover indian designs. This is something which is personal. It depends on a person’s personal choices and budget. So brothers think about your sister’s personal favorites things and choices. Now a days customized personalized gifts(like customize printed mugs, personalised tshirts, etc) are also available so you can check on them too. Go for the rakhi gift ideas for sisters -if she is a fitness freak give some fitness smartwatches. A photo collage just to give it emotional touch. Think about her and then search you will definitely get something that will make your bond more stronger and perfect. Gone are the days when only brothers used to give gifts to their sisters. Now sisters also love to gift something to their brothers and their families. 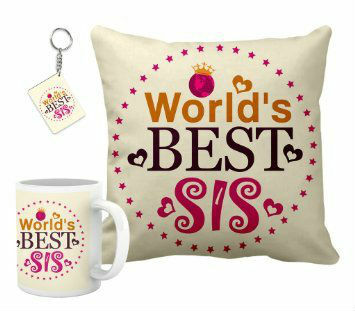 So same idea for sisters also search for rakhi gift ideas for brothers -think of your brother’s choices and passions. Recall his favourites, hobbies or likes. You can also gift him a picture collage that has pictures of your bondings, love and care for each other. Shirts, Tees, Watches, a Fitbit if he is a fitness freak. If you both are financially independent then go for a Alexa, this will be of great help to your brother or sister. All things are good, money or no money, gifts or no gifts, high on cost or cheaper, more important is, Don’t forget to add the spice of love, care and bonding to your relationships. This is what all matters. All other things are secondary and materialistic. Go for your relationships, spend time with each other, revive your childhood, be nostalgic, go for a family picnic, cook together, eat together, laugh together and stay blessed for life. Hope this will help you as same as they bring in relief to my mind. Now I would be festive ready. Amid being a Mom, a Wife, a Daughter, a Sister I am trying to live my life as a human. As who I am. I love to be myself. As a freelancer blogger, a poet, a story teller I am working with some prominent platforms. I describe my self as jack of all trades, but master of none as I don’t wanna bind myself to certain limits, also being a master somewhere might stop my ability to learn. The 3L Learn, Laugh, Live Mantra is what I follows. To know more, please connect with me through my profile. What to do when motherhood isn’t bringing you happiness?